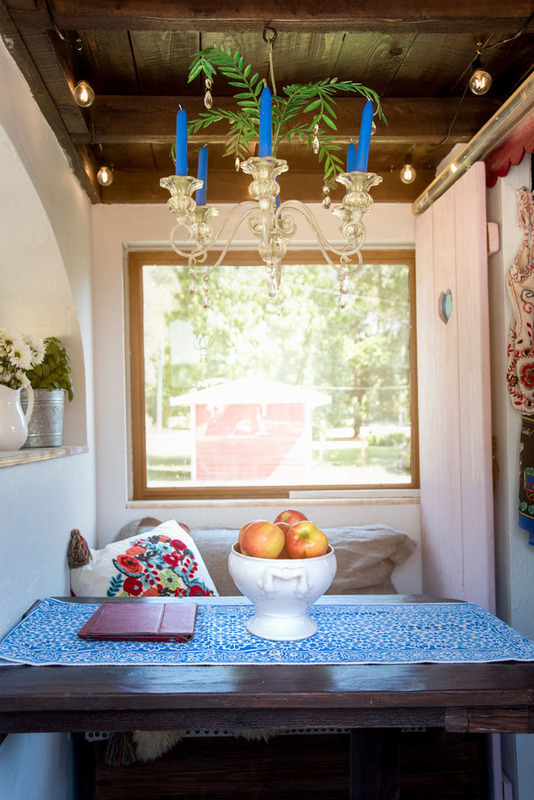 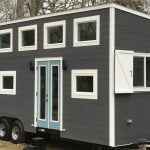 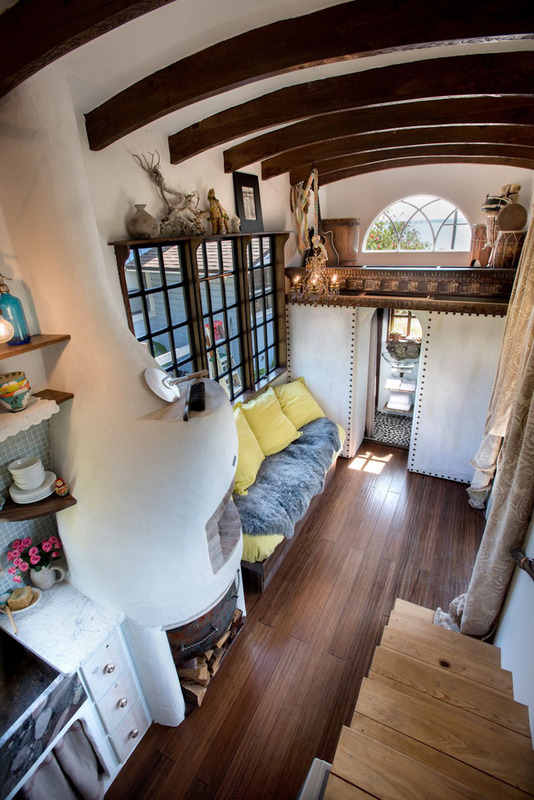 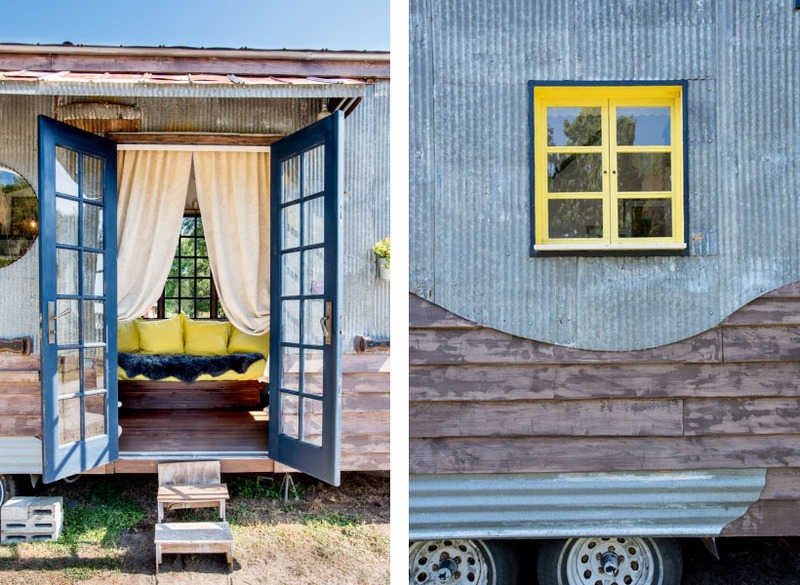 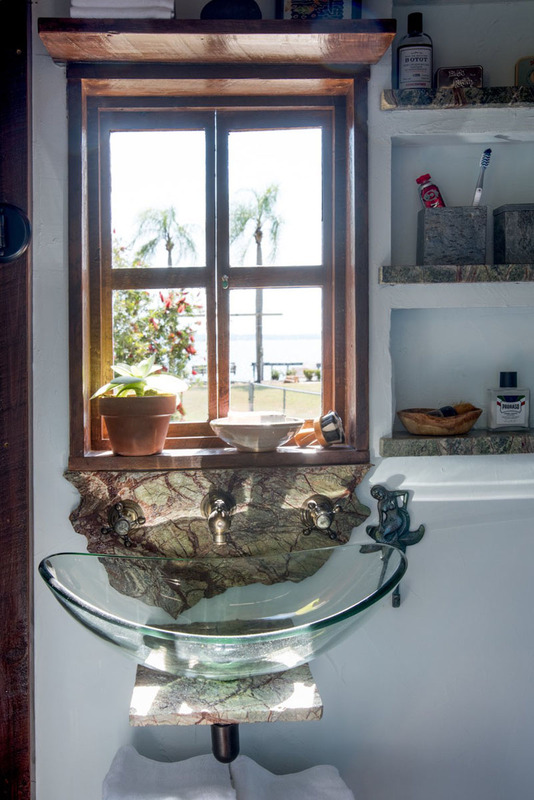 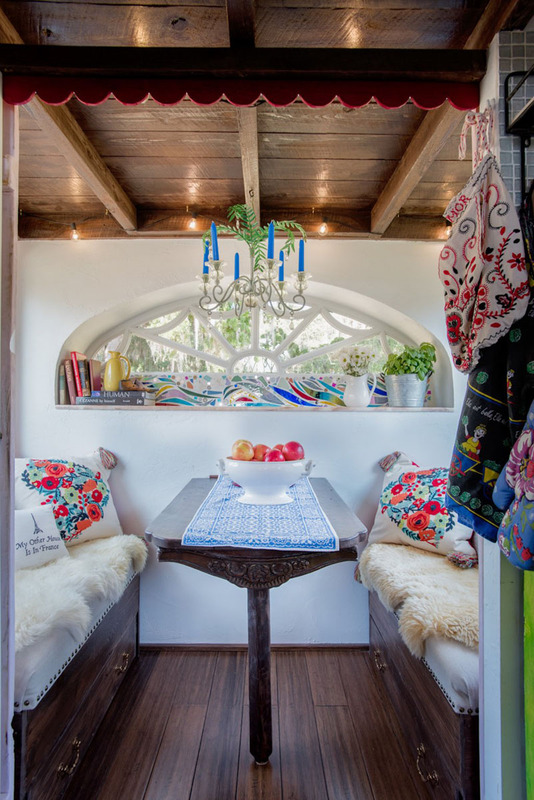 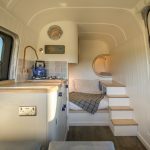 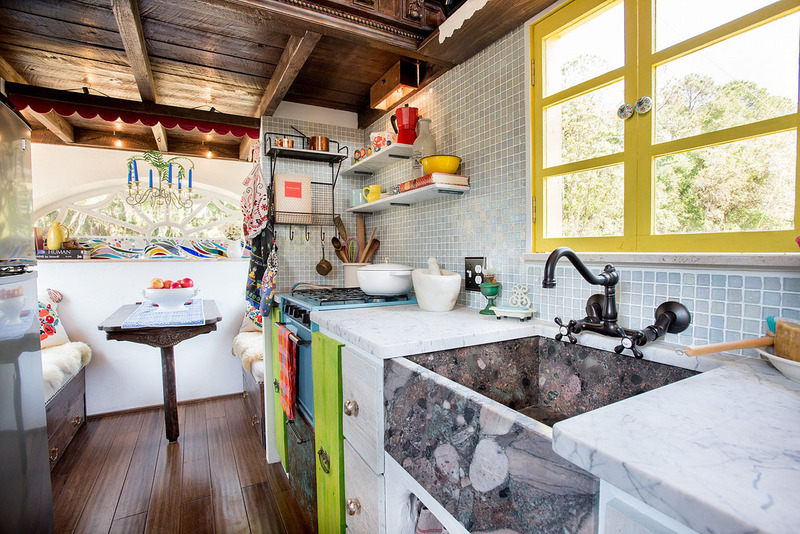 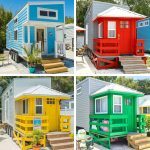 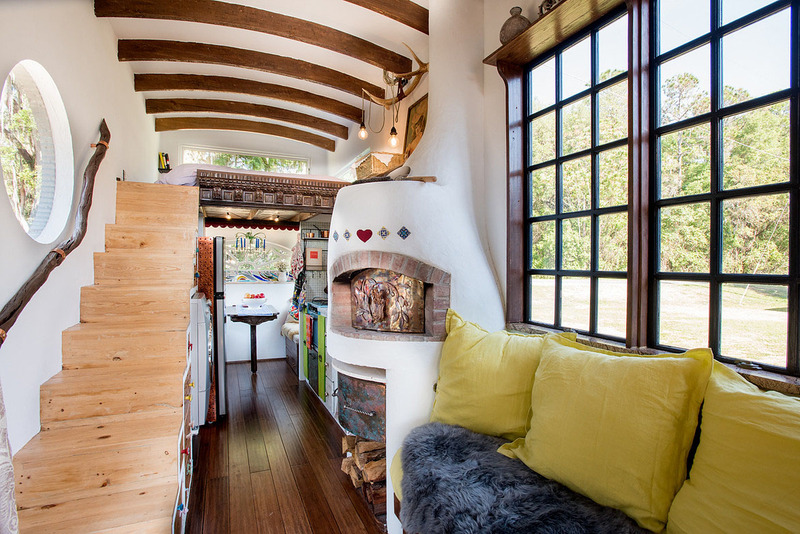 The Gypsy Mermaid is a custom tiny home inspired by European architecture and design. 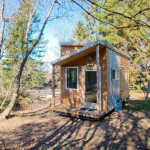 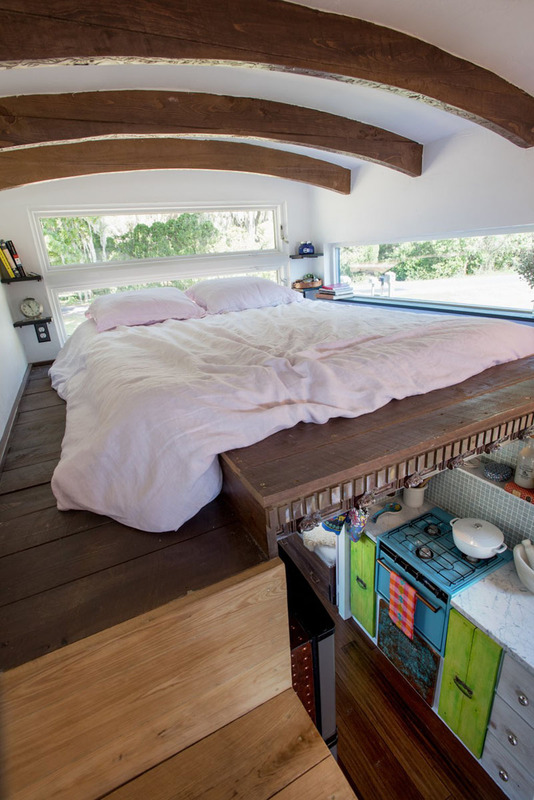 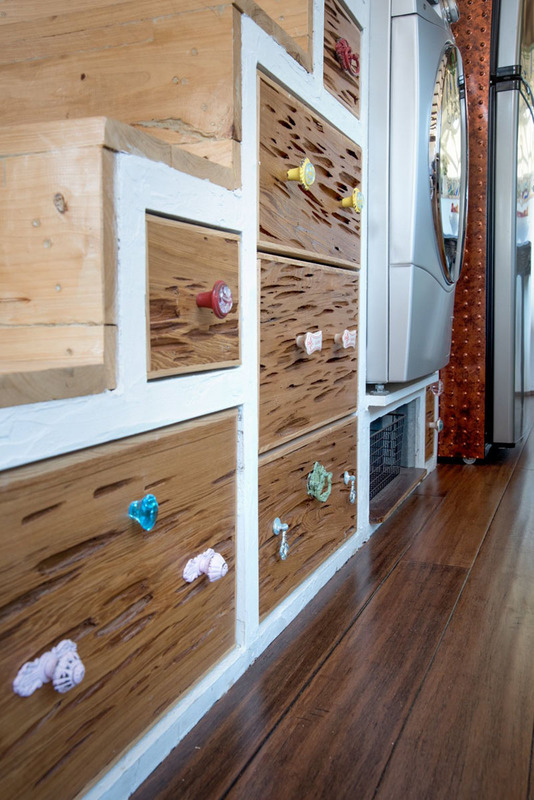 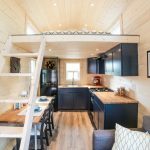 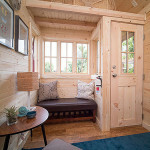 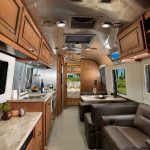 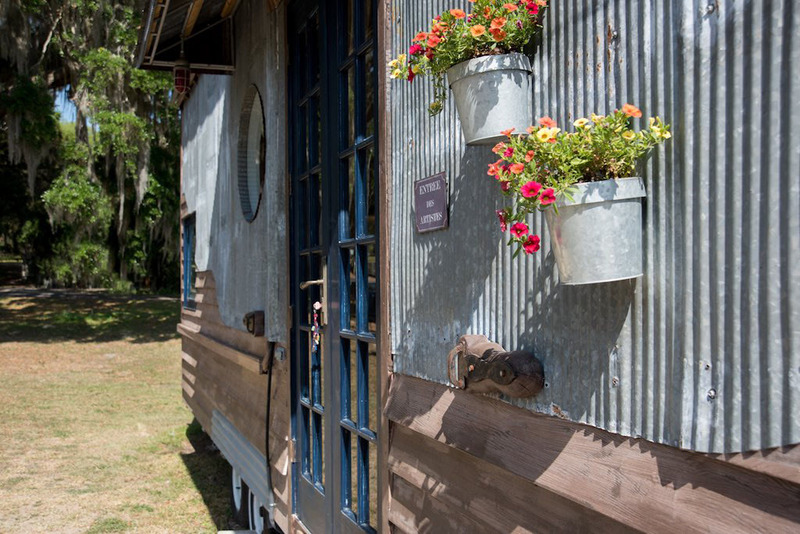 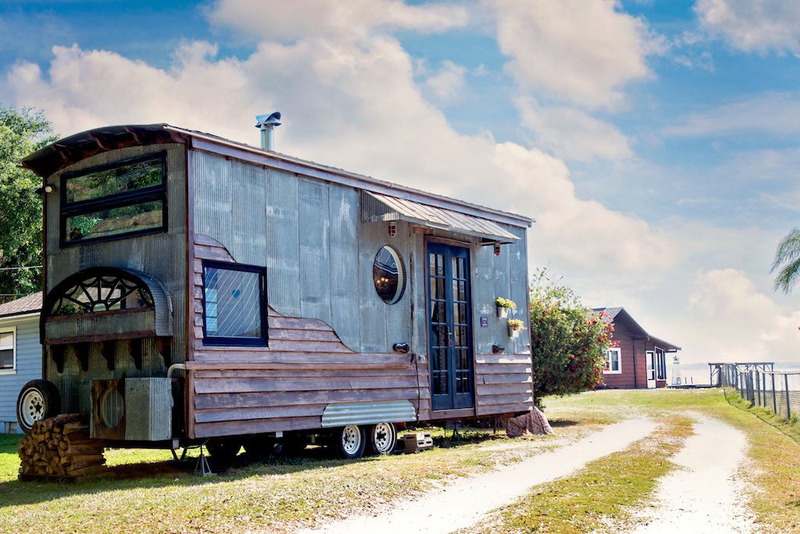 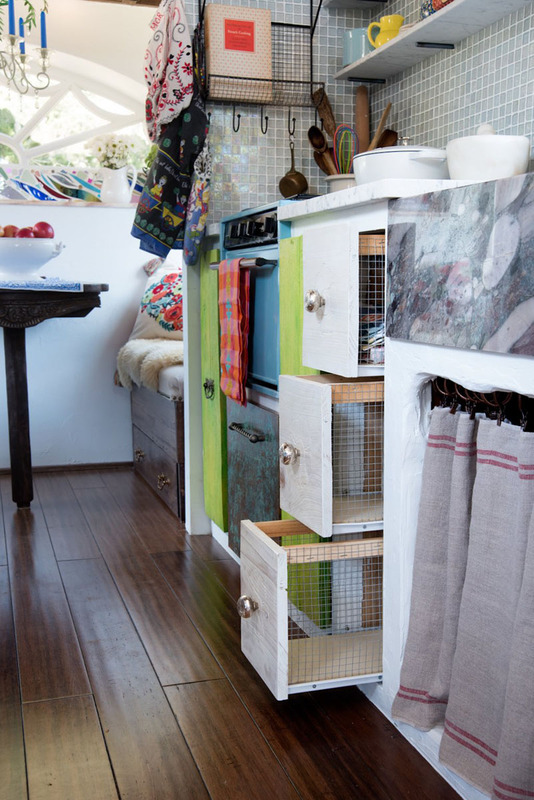 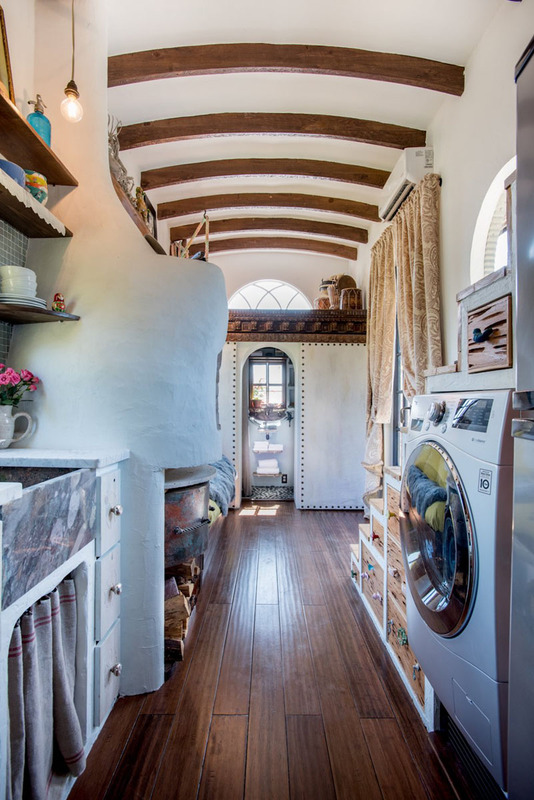 This tiny house on wheels was built by Roberta and Rebekah Sofia of Florida using various reclaimed and handmade materials. 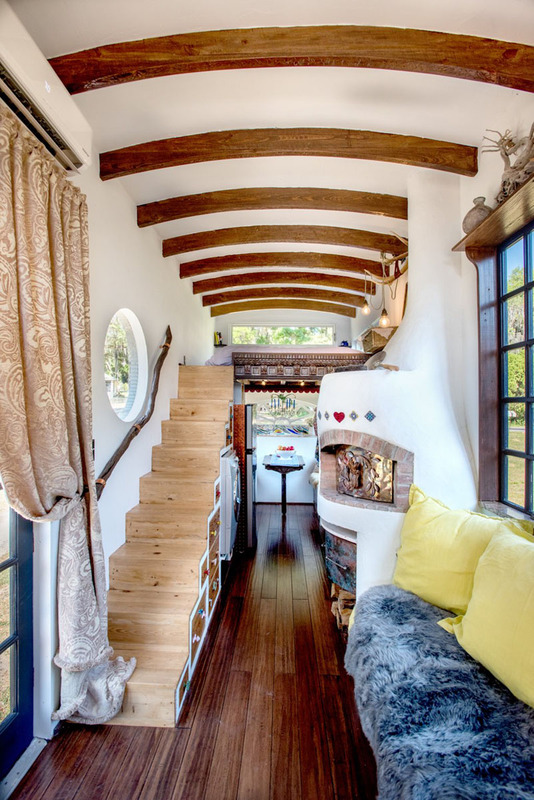 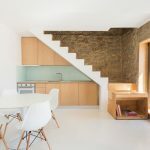 Unique features throughout the home have bohemian influences such as arched ceiling wood beans, a pizza oven fireplace in the kitchen and a tree branch handrail for the staircase to the sleeping loft.